It’s here! April 23rd release. If you like what you hear in my talks or read in my children’s books, this is the next step. 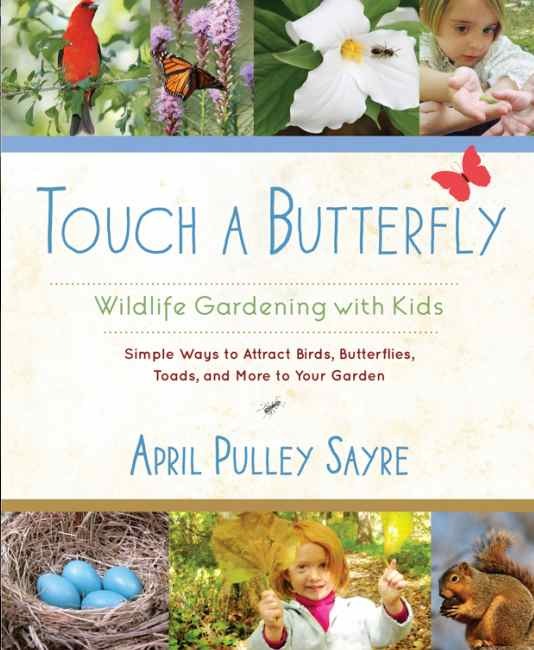 Touch a Butterfly: Wildlife Gardening With Kids is perhaps my most personal book with a traditional publisher. Yes, it’s geared to parents and families, but I think some of my student fans, 5th grade and up, would like sections of it because in it I share not just wildlife gardening and family stories, but also how to approach/study wildlife at close range. It’s a heartfelt sharing of so much of what Jeff and I have learned in wildlife gardening/wildlife observation over the years. Reviewers seem to be getting the joy and spirit of the book so…whew! I’m so glad. And many families and educators shared photos of their kids enjoying nature and totally uplifted the project, making it a community effort. Roost Books has a free pdf of a chapter for free download here. Michelle Cusolito has a related blog post/author interview on her site Polliwog On Safari.